If you have aspirations of becoming any sort of digital designer, you'll need to get comfortable with Adobe Creative Cloud, a leading suite of design and editing software hailed by creative gurus. Thankfully, you can familiarize yourself with these tools for pennies on the dollar thanks to the Pay What You Want: The Adobe CC Lifetime Mastery Bundle. Here's how the deal works: Simply pay what you want, and you'll unlock two of the collection's nine courses. Beat the average price paid, and you'll get the remaining seven at no extra charge. Plus, if you beat the leader price, you'll be entered into a major giveaway and earn a spot on the leaderboard. 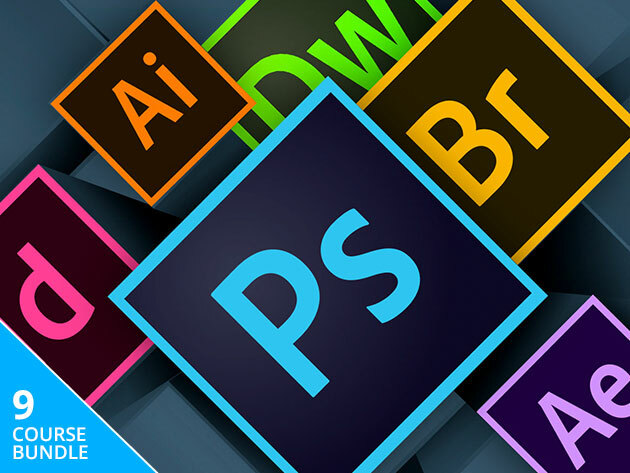 From Photoshop to Illustrator, this collection features more than 40 hours of training with the Adobe Creative Cloud's suite of programs. You'll discover how to navigate through each program's interface and leverage their tools to their full capabilities to edit photos, create designs, and even build websites. Just choose your price, and you can start your design education with the Pay What You Want: The Adobe CC Lifetime Mastery Bundle.